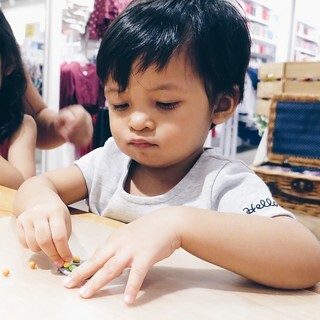 It was a morning of non-stop snacking, fashion shopping, tiny clay crafting, playing dress-up and being in their element at FOX Kids & Baby Fall Winter ’15 preview. 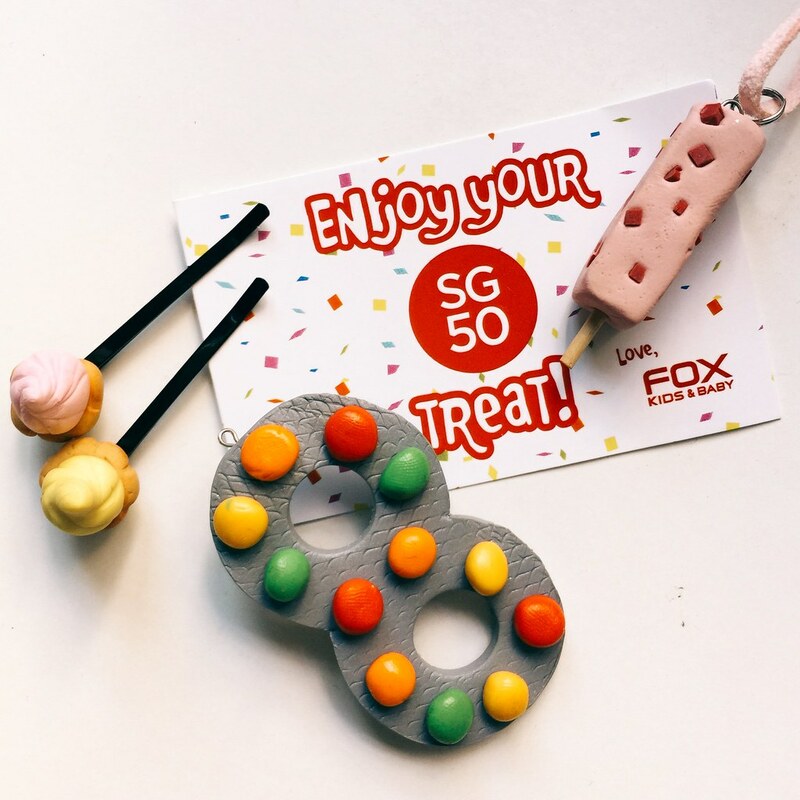 If you still do not know by now how much our girls love FOX, go read about our fashionista moments with #FOXFashionSG since 2013! Gosh it has been almost 2 years already? So can I declare myself as a FOX Fashion style guru since I know almost all their collection over these years? I am very happy to see them evolving and bringing in better and more stylish designs over the years. And THIS season is probably my personal favourite! The girls styled in their upcoming releases for Fall Winter ’15, and these two outfits are my favourite picks from the preview. But silly me left them out in our stash! Must-go-back to buy them soon. 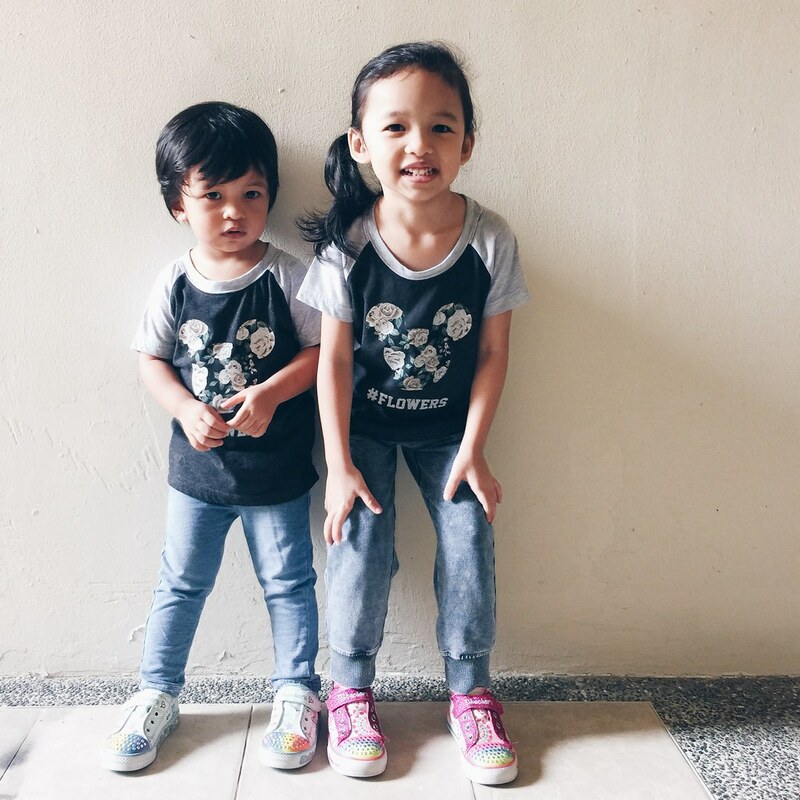 Moving slightly away from their usual cutesy cartoon character designs, FOX Kids & Baby brings in more stylish prints and monochromatic colours too. 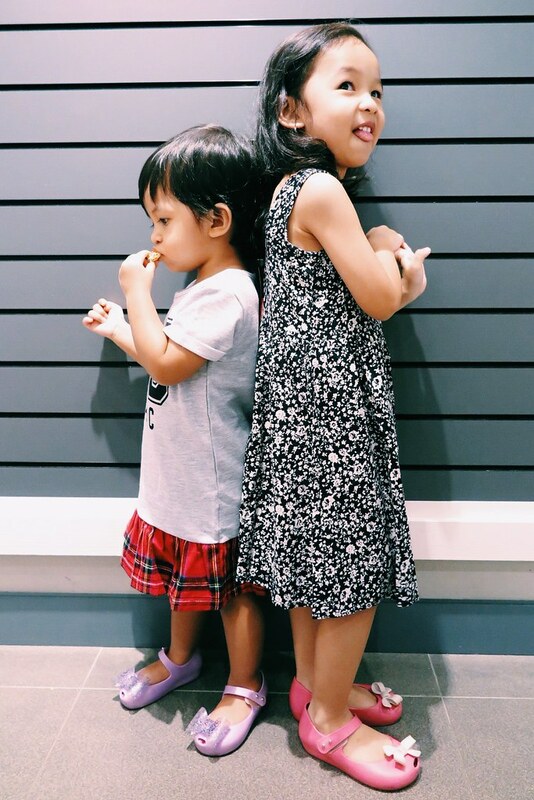 And finally the girls can dress to match me and Ayah instead of the other way round, because both me and him has got limited colours in our wardrobe and mainly in shades of black, greys and red, so this collection fits in well in our family! The girls picked their own clothes to try during the preview, and this they do it too often these days whenever we are out shopping. Good thing I am still able to control them still and restrict any unnecessary spending. 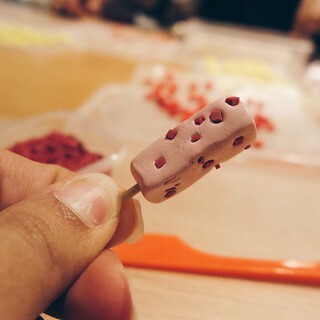 Besides all the shopping and snacking on retro snacks from the 80s, we also got our hands busy making our very own cute accessories! 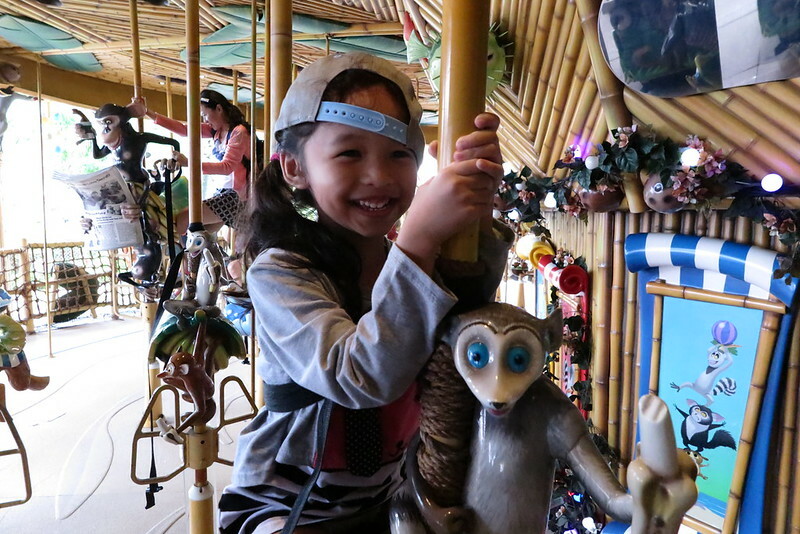 Am impressed that Ayra managed to complete quite a bit with help from friend from Wing Tai. And these are our combined effort from that day. Not bad right? 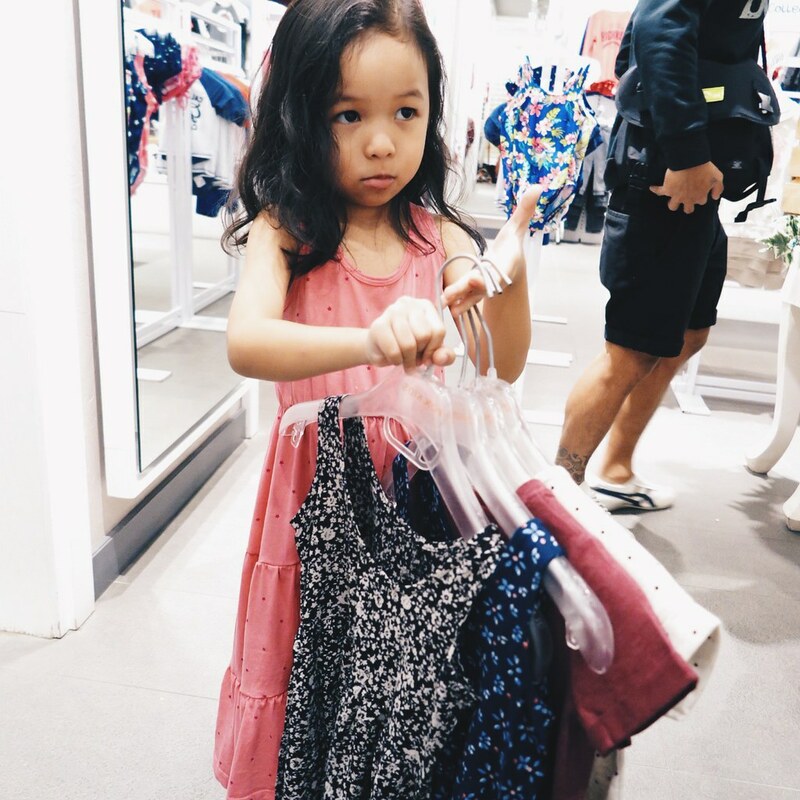 Doesn’t she look like a big little fashionista shopper? Yes she tried on all those pieces. It was kinda crazy in the fitting room that day. One of the many failed attempts to get the girls pose for the camera. 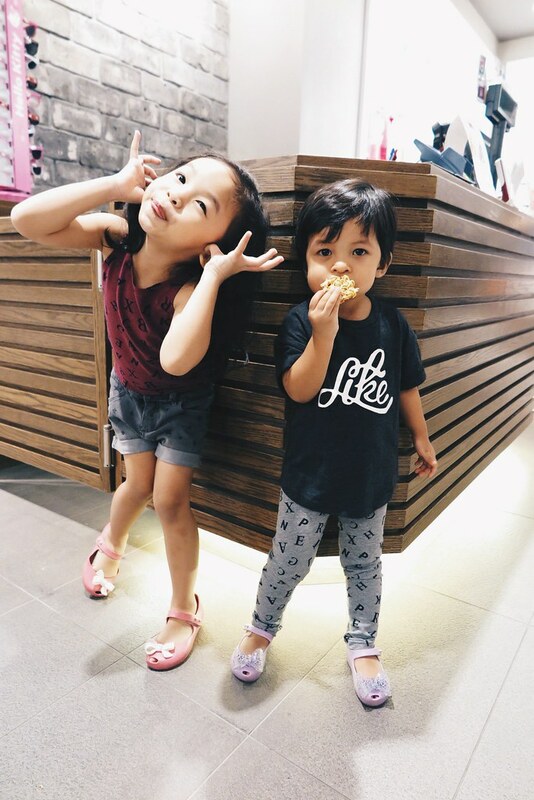 But this is quite cute lah, one busy eating and the other being her wacky self. 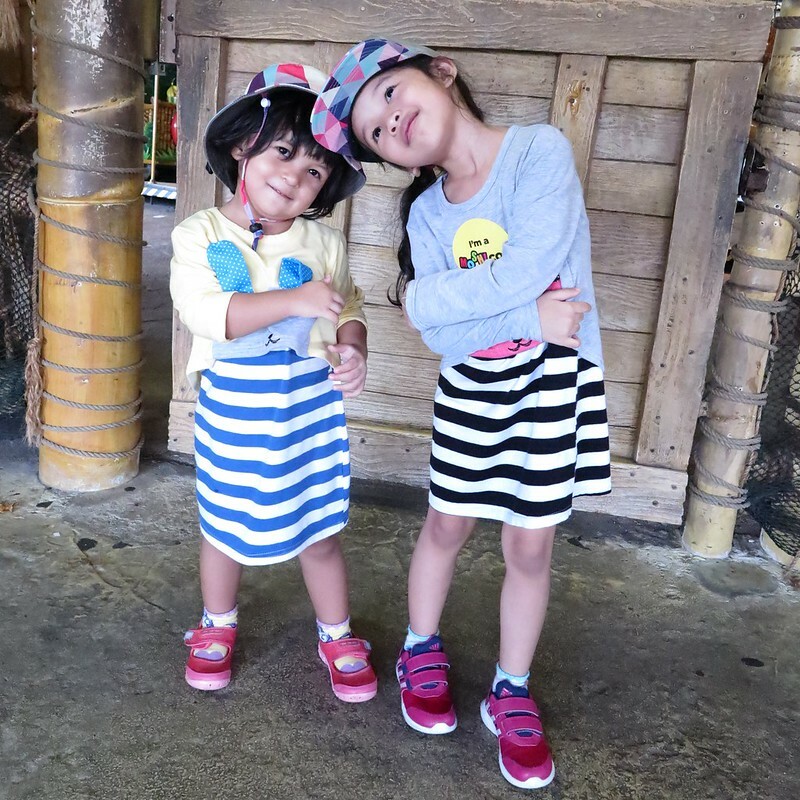 Matching outfits for our usual weekend day out to Universal Studios Singapore. 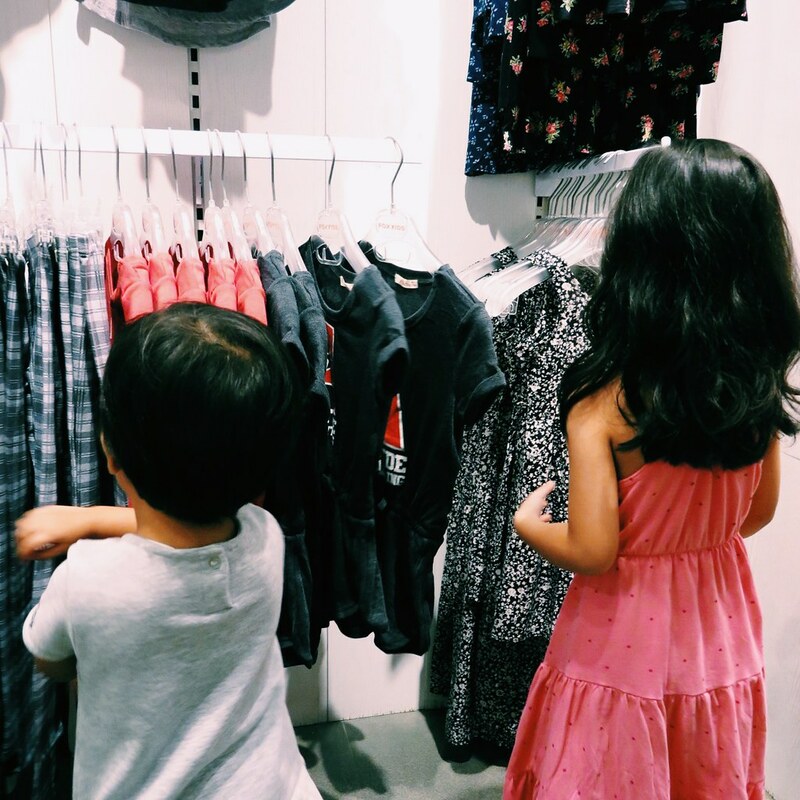 With whole lot more new designs to choose from this season, I think you’ll probably see me popping into FOX Kids & Baby every week to check out their new arrivals. 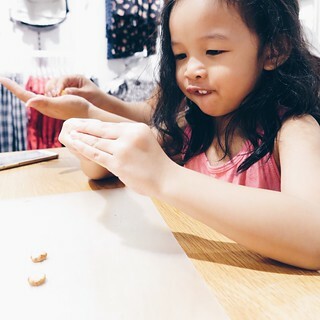 And now they also have got a special treat for wt+ members, spend $60 nett in stores and get a free backpack for your little one. Follow them on Facebook for their latest updates and promotions. 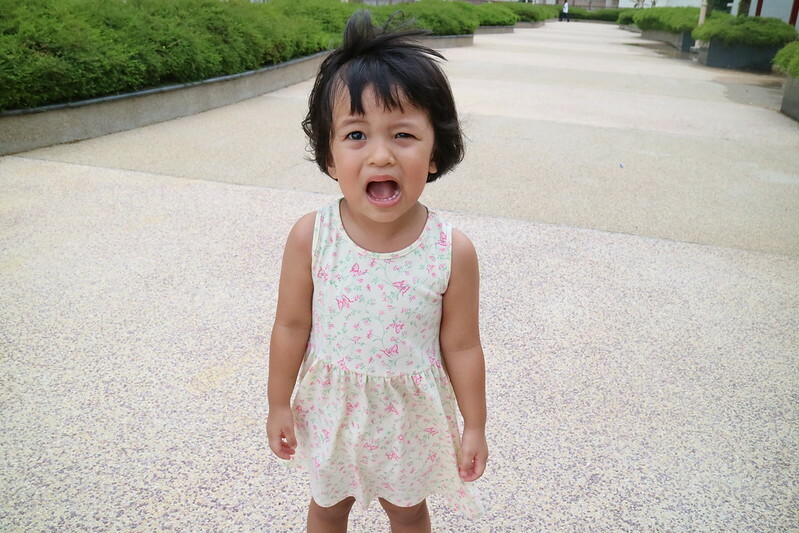 Disclaimer: The Loving Mum was invited to the preview and and provided shopping credits to dress up our little girls. All opinions are our own.